They Can Fake Meteor Showers Too! 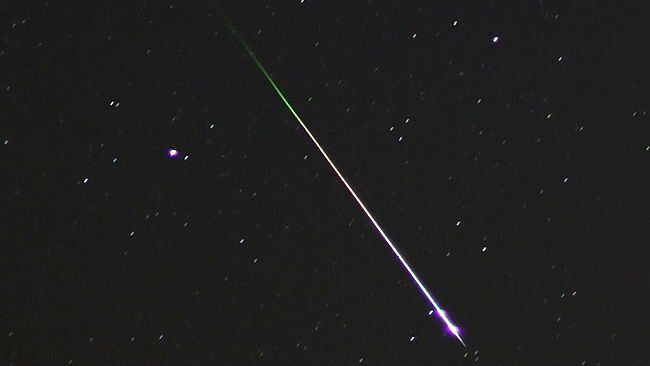 Another proof that Meteor showers could be staged! The opening ceremony is one of the most highly anticipated events of every Olympic Games and the opening of the 2020 Olympics in Tokyo may feature something no other ever has: a man-made meteor shower. A Japanese start-up company called ALE has developed a satellite that could produce a man-made meteor shower anywhere in the world at any time, but the spectacle will come at a cost. At $8,100 per meteor, an artificial meteor shower could cost millions of dollars depending on the desired number of shooting stars and length of the shower. The company plans to accomplish this expensive, but jaw-dropping, feat by sending a small satellite into orbit carrying a payload of specially designed pellets. These pellets will be ejected down into the Earth’s atmosphere at a specific time and will simulate actual meteors, eventually burning up and producing a bright light visible to spectators on the ground. “It is artificial but I want to make really beautiful ones that can impress viewers,” Lena Okajima, CEO and founder of ALE, said to AFP. In the case of the 2020 Olympics, this means that the people at the opening ceremony may be the first people to ever witness a man-made meteor shower in the skies of Tokyo. Not only will ALE be able to produce a meteor shower on demand, but the company will also be able to control the colors of the man-made shooting stars. 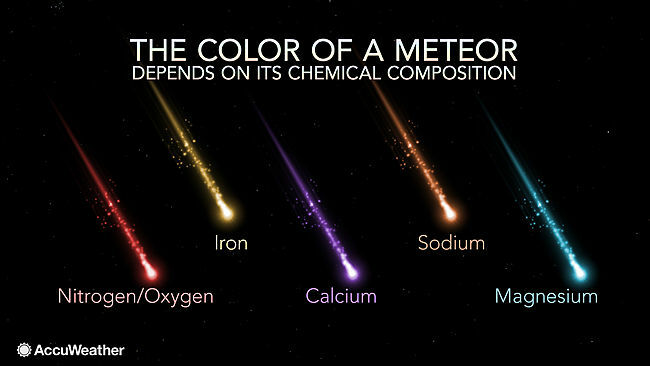 Although the company has not said what materials they will use to create these pellets, the chemical composition will likely be made out of specific materials known to produce different colors in actual meteors. While ALE may be able to control where and when a meteor shower occurs, as well as the color of light the artificial meteors emit, they will not be able to control the weather at the predetermined time of the shower. This means that if there are clouds over Tokyo for the opening ceremony of the 2020 Olympics, then the debut of the man-made meteor shower will have to be delayed. OK so they can be faked so they are ALL faked. I get it now. NASA has been fakeing the Lionid meteor showers for thousands of years..
Meteor showers can be used to reflect RF signals in the upper atmosphere. “Meteorcomm began as a small consulting company that commercialized meteor burst communications as an effective and reliable alternative to satellite communications. The technology uses ionized meteor trails to propagate radio signals. These trails exist in the 80 to 120 km region of the earth’s atmosphere and are used to reflect radio frequency signals between two locations. Meteor burst communications was well suited for long-range, low data rate messaging across vehicles, locomotives, marine vessels, aircrafts, and remote hydro-meteorological stations. Meteorcomm’s technology was quickly adopted by a global customer base spanning every continent and multiple industries. In the 1990s, Meteorcomm developed and patented Extended Line of Sight (ELOS) as a method to communicate real-time data up to 50 miles. This extended range of communication was achieved by diffraction around the curvature of earth, atmospheric diffraction, and tropospheric propagation.” GLOBAL…. I guess the new startup company has their work for this year already sceduled. I shure hope they don let us down as they try to “prove” the meteors are real. Acuweather quotes NASA on their site. Oh well can’t trust Accuweather I suppose.